A Burbank domestic violence case can have devastating consequences, & it is important to understand & prepare for immediate issues you may be facing. After the arrest (or at the first court appearance), there will likely be court restrictions from returning home, contacting the other party (spouse, girlfriend, etc. ), or maybe even seeing your children. These and other related issues, make early legal representation critical. George Kita has helped many clients charged with Burbank domestic battery and domestic violence offenses. He has developed a systematic approach, developing important issues, based on his experience as both a prosecutor and defense attorney. Don't take a chance with your future! Call now, at 818-536-3630! 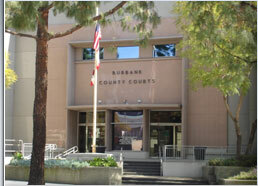 Domestic violence charges in Burbank are extremely serious, and can be charged as felonies or misdemeanors. These allegations are subject to many negative potential consequences, some mentioned above, which will be explored in more detail, below. Generally, at the first court appearance, a judge will issue a Restraining Order against the person charged with a domestic violence violation. This generally prevents a person charged with a domestic battery charge, from returning to his or her home. This type of order will oftentimes remain in place until a case is resolved, or even throughout probation, if a person is convicted. This is usually done, even over the objection of the protected party. The above scenario is an important reason why it is important to find an experienced Domestic Violence Defense Attorney to make efforts to contact the Prosecutor’s Office before a case is filed, to present the client’s perspective on the matter, as well as present mitigating information which the Prosecutor would not ordinarily have. Burbank police and prosecutors take a strong stance against domestic violence. Being investigated for, charged with, or arrested for a crime of domestic violence in Burbank is extremely serious. Bail is typically $20,000 to $50,000, but can be set at a higher amount. Felony charges carry up to 4 years (or more) in state prison, as well as fines in the thousands of dollars. Misdemeanor violations carry up to a year in jail, and expensive fines. Convictions generally require completion of a 52-week court-approved counseling program called "Batterers Program," Domestic Violence Counseling, or DVC. Burbank domestic violence defense attorney George Kita can investigate the charges against, to determine your best strategies. Mr. Kita provides effective legal advice & strategies for his clients, & he can do the same for you. Have you been arrested for a domestic violence crime in Burbank, CA? Call today at 818-536-3630, and find out your options! *Results depend on specific details of each case.